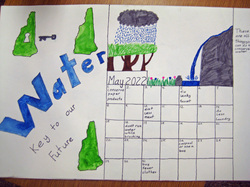 This year our class participated in the Raindrop project. 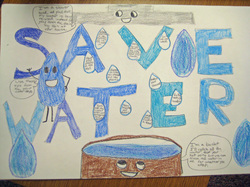 It is a project when our class draws a picture to show how they would like to help water conservation. First we decided what our picture would look like, then we did a rough draft, and then finally we did are final product. In the end Hannah and Danny's pictures got sent into the competition.